CHARLOTTE, N.C. -- The Duke Energy Foundation is committing $2 million to the University’s Exponential Campaign, specifically to support the Charlotte Engineering Early College and the Women in Computing Initiative. As part of the gift, the Charlotte Engineering Early College (CEEC) will receive $900,000. 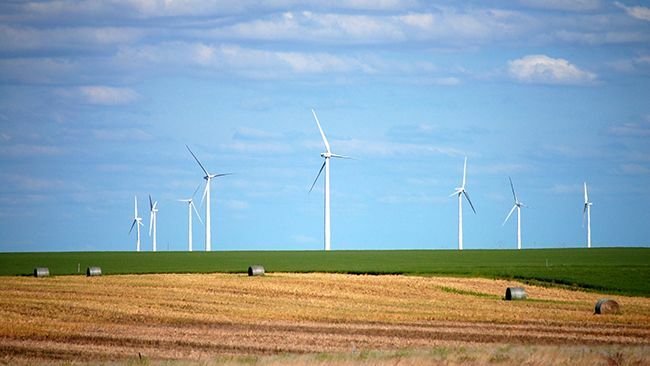 The funds will support the Duke Energy Summer Bridge Program, the Duke Energy STEM Summer Research Experience, and the Duke Energy STEM Scholarship. In addition, the College of Computing and Informatics’ Women in Computing Initiative will receive $750,000. The funds will support the Duke Energy STARS (Students and Technology in Academia, Research and Service) Leadership Corps Scholarship. The remaining funds support other UNC Charlotte programs, such as Let Me Play, which supports women’s athletics, Women + Girls Research Alliance, Senior Design Projects Fund and the EPIC Affiliates Program. Including the latest commitment, Duke Energy’s total giving to UNC Charlotte now exceeds $20 million. "The Duke Energy Foundation continues to do an incredible job of finding innovative and meaningful ways to collaborate with UNC Charlotte. 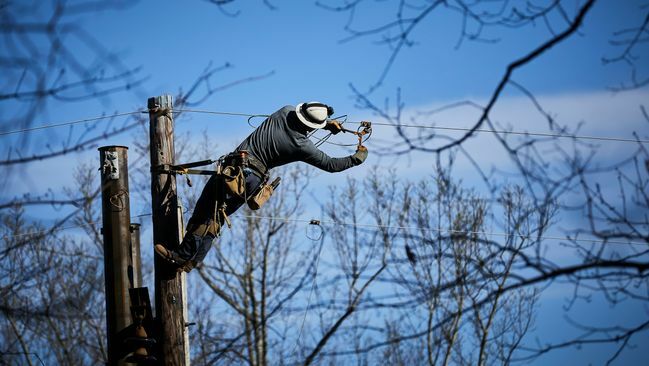 This commitment is another example of Duke Energy's profound connection to this University and our students," said Chancellor Philip L. Dubois. "I cannot express how important it is for initiatives like the Charlotte Engineering Early College and Women in Computing to benefit from the support of partners such as Duke Energy," he said. "These cutting-edge programs enhance the value of the University in the greater Charlotte community, as well as the state and the entire country." 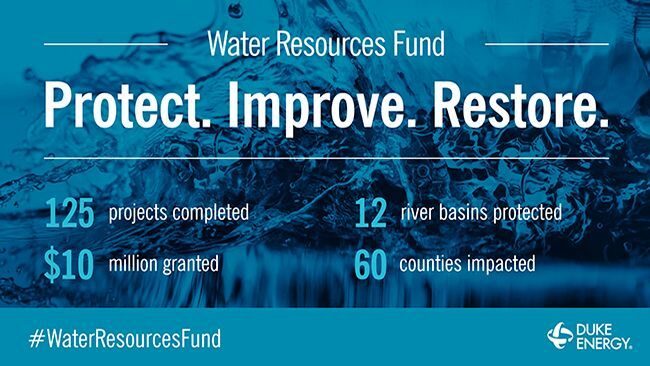 The Duke Energy Foundation provides more than $30 million annually in charitable gifts, including a focus on science, technology, engineering and math (STEM) fields for students and workforce development initiatives that help ensure local businesses have a pipeline of talent and a diverse workforce. The Duke Energy Summer Bridge Program will target students that CEEC aims to ensure retention and keep on track for completion by offering a summer math course (between grades 11 and 12). The course will focus on strengthening math competency and prepare them for additional math courses in grade 12. The Duke Energy STEM Summer Research Experience program will be offered to a select group of students who are committed to staying at CEEC through the 13th grade. These students will participate in a research experience, being paired with research faculty in a STEM discipline and a graduate student mentor. The participants will also take a summer math course to either help them advance to a higher level or help them stay on track. 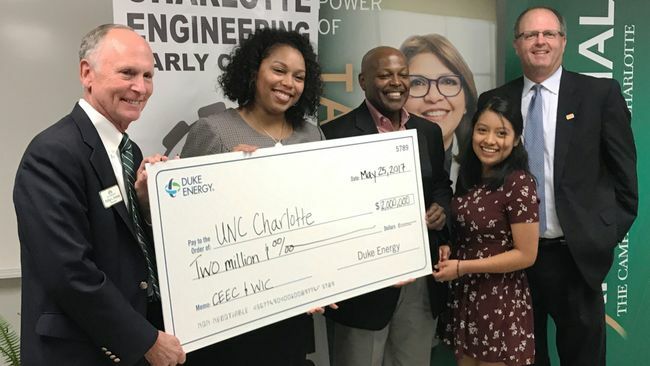 The Duke Energy STEM Scholarship will be used to support graduates from CEEC to and through completion of a STEM baccalaureate at UNC Charlotte. The Duke Energy STARS Leadership Corps (Corps) Scholarship will support women computing majors participating in a multi-year program exposing them to the broad applicability of computing through civic engagement and service learning. Charlotte-Mecklenburg teacher of the year Deanna Cureton helps her students at Charlotte Engineering Early College prepare for their future in this article on illumination.duke-energy.com. UNC Charlotte is North Carolina’s urban research university. With fall 2016 enrollment of more than 28,700 students, the University leverages its location in the state’s largest city to offer internationally competitive programs of research and creative activity, exemplary undergraduate, graduate and professional programs, and a focused set of community engagement initiatives.